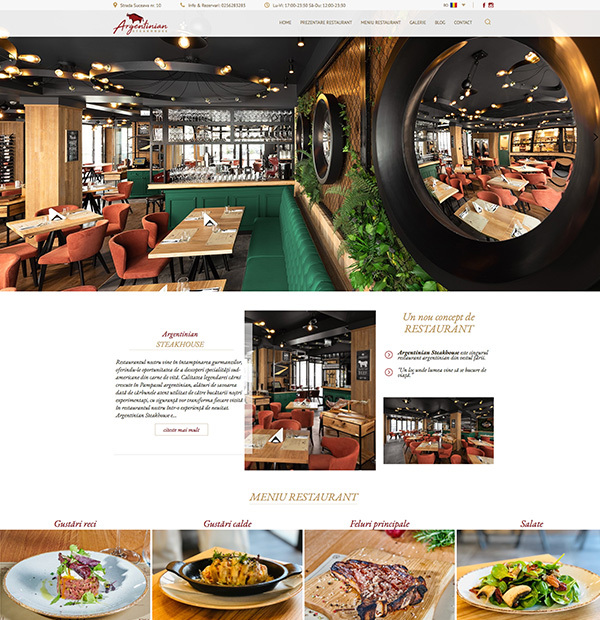 The presentation sites for both Locanda del Corso and Hotel Del Corso were designed by Royalty Webdesign. The two restaurants have strengthened their leadership position in the top restaurants in the city since their appearance on the market as a result of promoting high standards of service. The restaurant's website has a similar design to that of the hotel to emphasize that they are part of the same group. The web page shows information about the restaurant, kitchen, menu, partners, etc.